Connect Nonprofit Jobs is Ontario’s province-wide site connecting job seekers with paid nonprofit positions. It’s run by the Ontario Nonprofit Network (ONN), the provincial network for Ontario’s 55,000 nonprofits and charities. 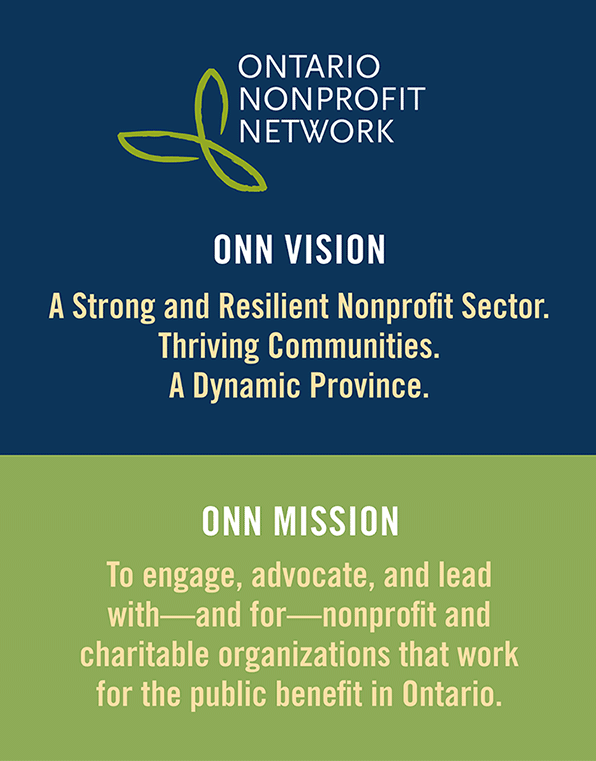 Organized in 2007, ONN spans the province with a 7,000-strong network and a volunteer base of over 300 nonprofit leaders. Our vision? To build a strong and resilient nonprofit sector. 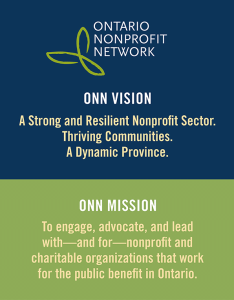 From public policy and analysis, to connecting organizations across the province, convening shared opportunities and trends, and channeling collective expertise to create solutions to community challenges, ONN is a springboard for action. Learn more about ONN advances on behalf of the nonprofit sector. We believe that harnessing workers’ passions can amplify the impact of organizations on their communities. To support nonprofit workers and strengthen Ontario’s nonprofit labour force, ONN is developing a culture of labour market planning. We’re doing this through a multi-year approach, working with other sector organizations to create a comprehensive strategy. By collaborating across the sector, nonprofit organizations can creatively and effectively respond to pressing demands in the labour force. Building on years of sector collaboration, a comprehensive plan is in the works. Learn more about ONN’s labour force strategy.